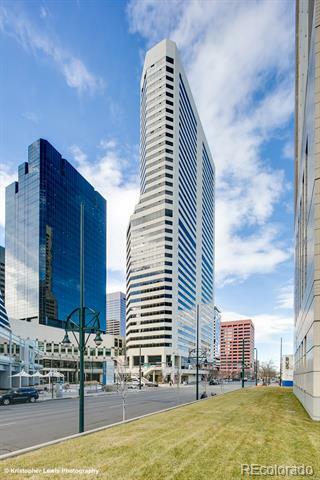 Hard to find 2 underground parking spaces with a 1- bedroom luxury condominium in the heart of downtown Denver. Gorgeous 1 bedroom, 2 bathroom unit with over 1, 100 square feet; wonderful Kitchen with w/granite counters, italian cherry cabinets, stainless Wolf gas range, SubZero refrigerator, Asko dishwasher; washer and dryer included. Lavish master suite. Fully furnished, state of the art residence. Truefit Fitness, 24 hr valet, concierge, owners lounge, storage locker.